Microsoft has over $100 bln of cash, but will use mostly debt to buy LinkedIn for $26 bln. Heated credit markets make it cheaper for the software giant to pay interest – and perhaps lose its pristine AAA rating – than pay the tax penalty for using cash trapped overseas. 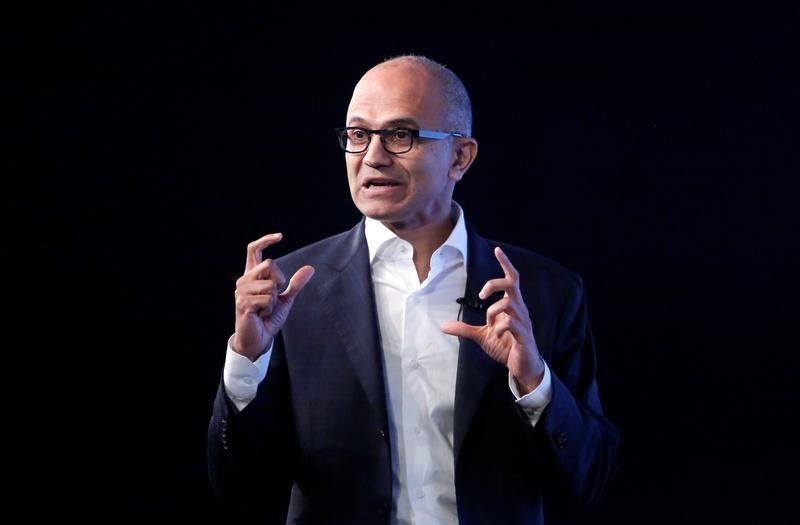 Microsoft CEO Satya Nadella in New Delhi, India May 30, 2016. Microsoft said on June 13 it had agreed to buy LinkedIn in a transaction valued at $26.2 billion, or $196 per share. The company says it will finance the deal primarily through new debt. Microsoft also reasserted it will complete a $40 billion planned share repurchase by the end of 2016. Moody’s said in a statement that the credit-rating agency was reviewing Microsoft’s Aaa rating for downgrade.